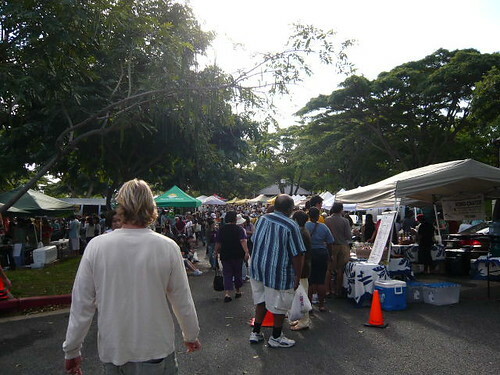 KCC Farmers Market is organized by The Hawaii Farm Bureau Federation that is a private non-profit organization supporting the economic viability of Hawaii’s farmers and rancher. 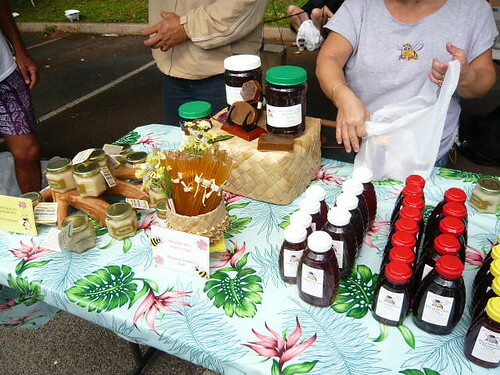 This is held at Kapiolani Community College on every Saturday. 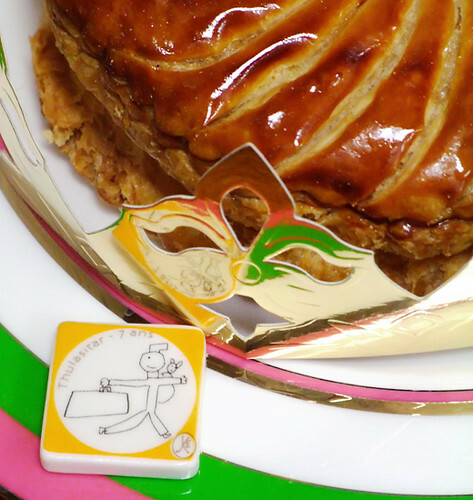 I ate some “Galette de Rois” french pastry for new year. 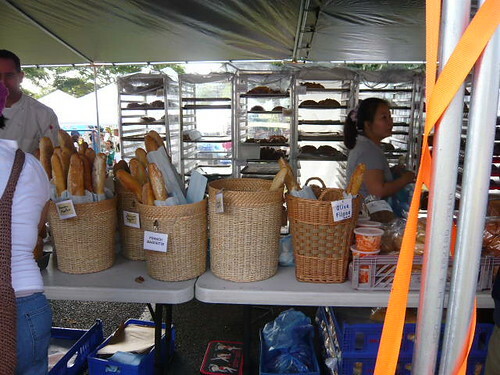 Maison Kayser made their original “feve”! I saw some other type. maybe these are children’s drawing? 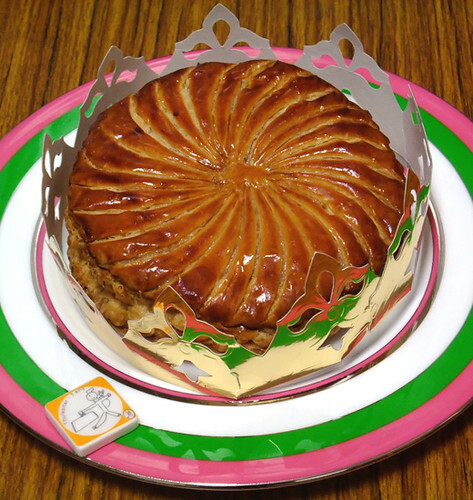 you can hide the feve in the galette then cut it… and the guy who get the galette is the king of the day! 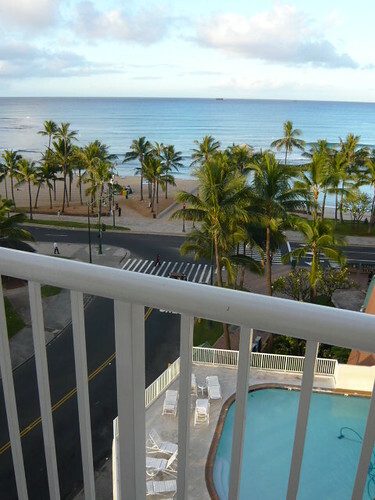 we stayed at Park shore Waikiki Hotel. Ocean view room. 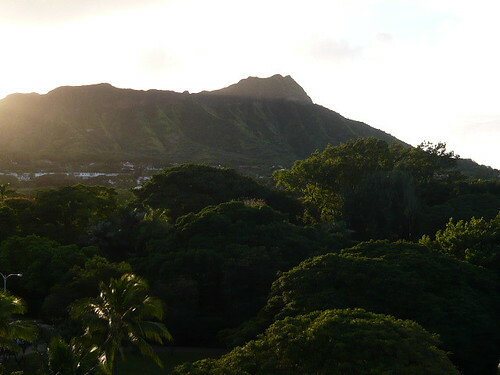 and Diamond head is at left side. 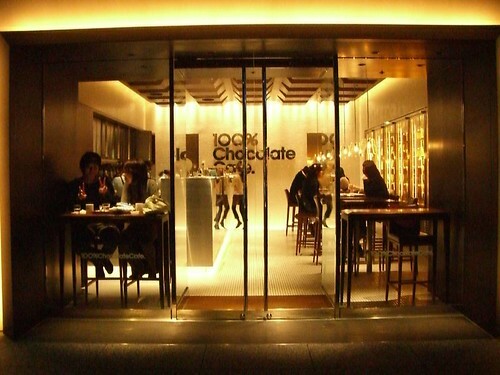 100% chocolate cafe always has 56 (and more!) 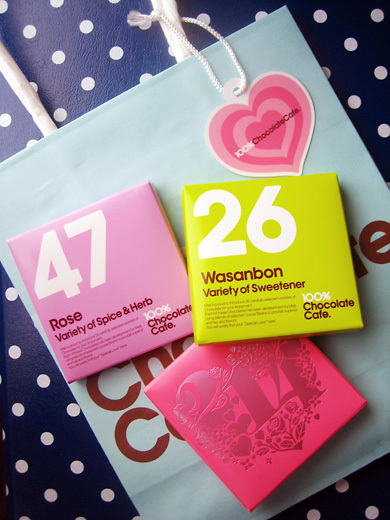 different kinds of chocolate!! 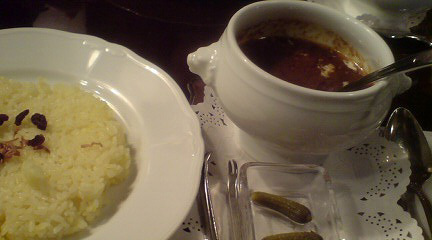 We (Yo-Ko & Yamada) went to Mt. 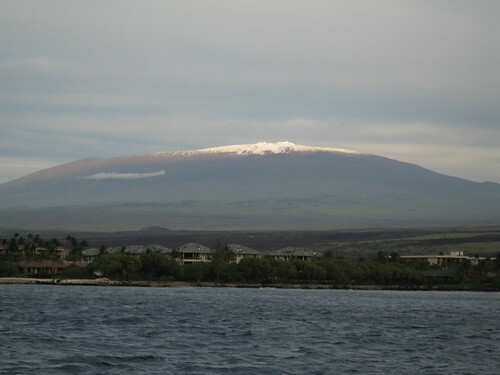 Mauna Kea summit. It’s covered by snow. 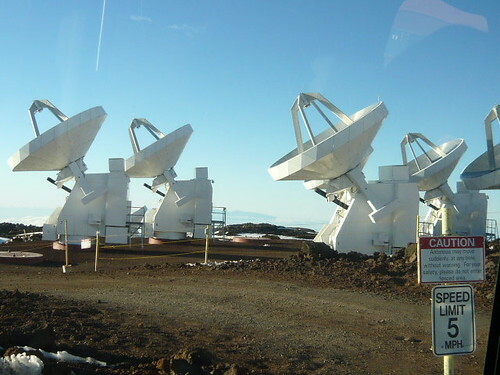 There are many astronomical telescopes. 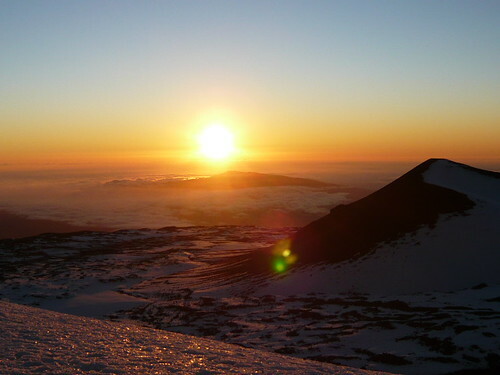 We saw an incredible beautiful sunset !! 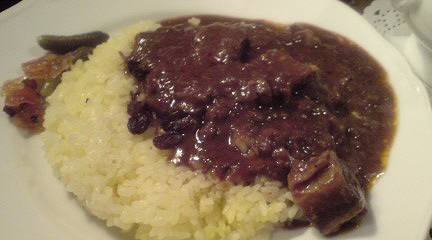 Tsubakiya is a coffee shop, but they serve good beef curry rice. 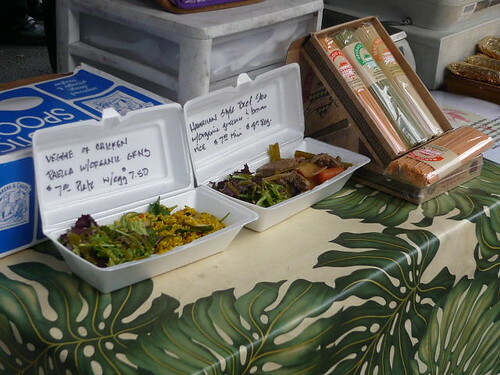 It comes with a bowl of salad and a cup of coffee(or tea which you can choose). 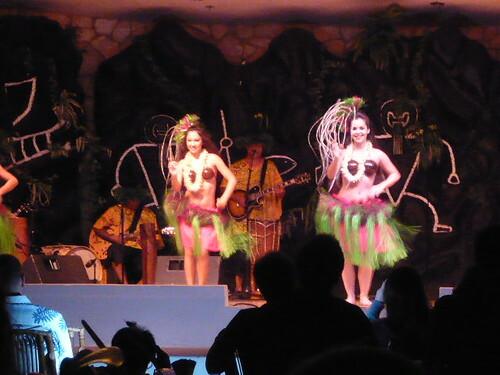 We (Yo-Ko & Yamada) went to Luau show at Hilton waikoloa village. 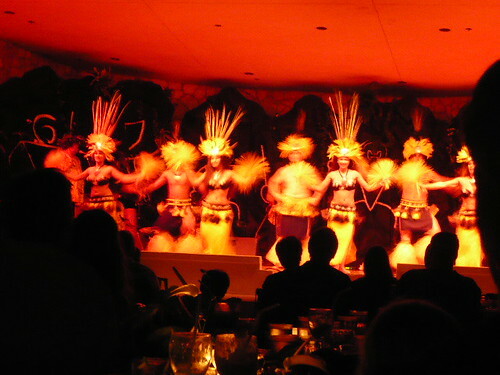 Luau show is the dance and music of the Polynesian cultures of the Pacific Rim. 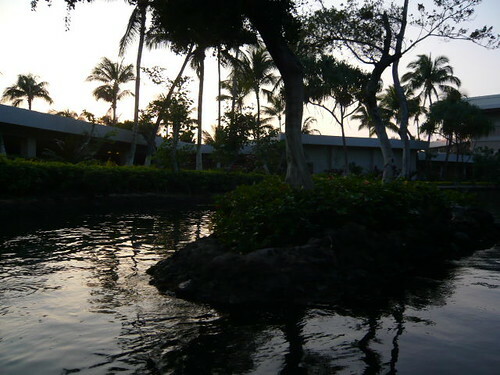 Hilton waikoloa village is a huge hotel in Hawaii island. 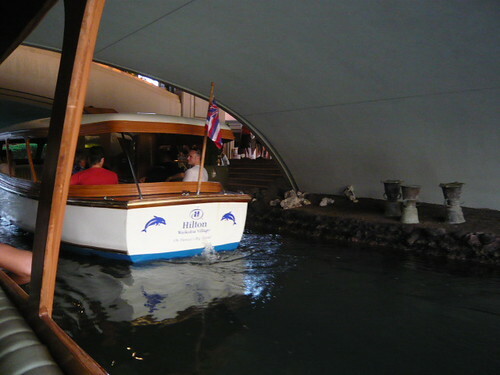 The boats were cruising in this hotel. 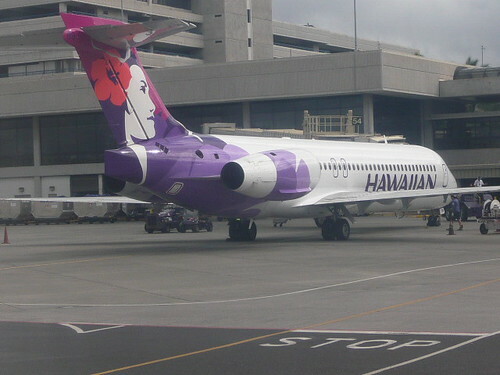 Yamada and I (Yo-ko) are in hawaii island. 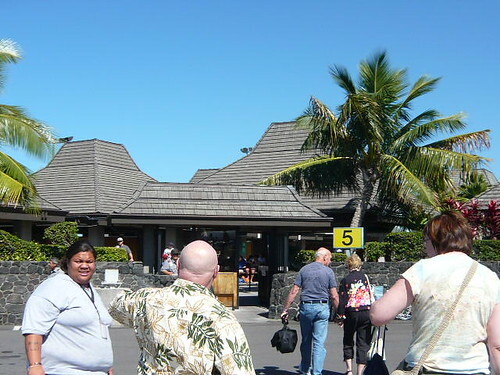 We arrived at Kona International Airport. 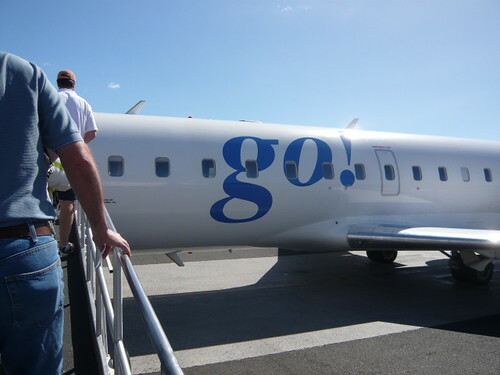 It’s a small airport but simple nice. We rented a car. 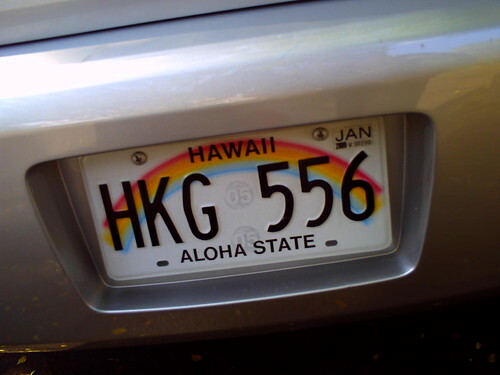 The number plate is drawn rainbow. very kawaii ! !